What is the Martin GPC12PA4? 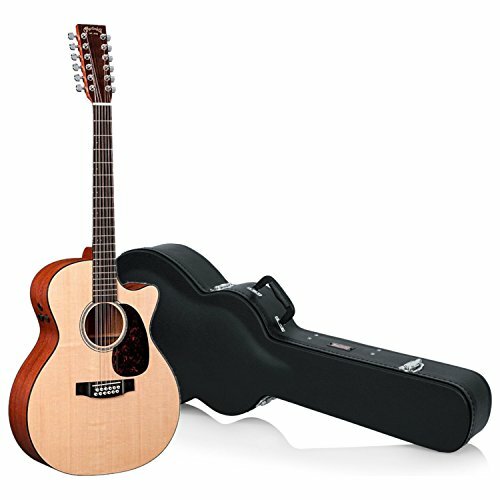 What’s Included with the Martin GPC12PA4? 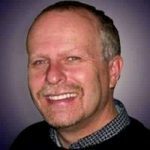 Conclusion: Should You Consider the Martin GPC12PA4? Since being established in 1833, Martin has built a reputation for producing some of the highest-quality steel-string acoustic guitars in the world. They make instruments that are great for musicians of all playing abilities and the Martin GPC12PA4 is no exception. 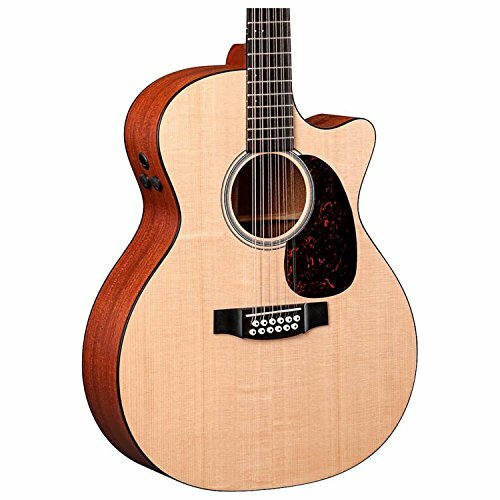 This gorgeous 12-string acoustic guitar is designed for long hours of play without any hand pain or lowered music quality, making it a great option for dedicated musicians to invest in. This beautiful acoustic guitar is the first in the Performing Artist Series from Martin. These guitars are designed specifically for a lot of use and to stand up to long hours of practice and performance without being damaged or failing the musician. They are made for use on the stage and while they can be used for recording, they really shine when used for live music. Thanks to the double strings on this guitar, it is much more powerful than traditional six-string guitars. Additionally, fast frets allow guitarists to really show off when playing. Because it was designed specifically for use on the stage, it offers plenty of power and control over sound quality and features great upgrades to make live performances even more enjoyable. Ideal for guitarists who expect power and performance when they are playing live music, the Martin GPC12PA4 is best suited for use on stage. It’s an incredibly powerful and responsive guitar that is designed for players to have complete control over their sound and enjoy power and precision. When you plug this guitar into a powerful amp, then you will be able to really stand out from a crowd. The fast fretboard and quick tuning ensure that you are always ready to play any song. If you are a more advanced guitarist who is ready to push yourself and really shine during live performances, then this may be the guitar for you. The Martin GPC12PA4 is a powerful option, especially when paired with a great amp. Not only will you enjoy fast playing speed but all of the notes are clear and true, which prevents a muddled or dirty sound. Beginners will, unfortunately, struggle to make the most out of this guitar and won’t be able to coax the clearest, brightest sound from it. Unfortunately, this guitar doesn’t ship with any added accessories, which is a little surprising given the cost of the instrument. However, this does allow musicians to buy the perfect accessories for their use. To be sure that you will make the most of your time playing this guitar, you need to invest in a quality amp that will allow you to control the sound volume and quality. Additionally, a high-quality strap is necessary to ensure the best on-stage performances. Unless the guitar is going to stay in one location at all times, a gig bag or carrying case is important. It’s necessary to protect the neck on this guitar as that is where a lot of the fine craftsmanship is, which is why a gig bag with plenty of padding on the neck is important. One of the things that musicians really love about the Martin GPC12PA4 is that it is so easy to play. It features a low-profile neck that is easy to hold and use for hours, which is great for band practice or live performances. Unlike other 12-string guitars with wider necks that are hard to hold, this Martin is easy on the hand. Tuning is easy and the great thing about this Martin is that it stays in tune so you can play more and spend less time tuning. One complaint that some musicians have is that the dot position markers on the fretboard are a little small and tend to be covered up by the strings. Others have stated that the fret ends are a little rough but it is really easy to quickly file them down for better playability. If you aren’t sure that you’re ready to invest in the Martin GPC12PA4, then you may want to consider the Martin D12X1AE. This is also a 12-string guitar and it is held to the same high standards as the GPC12PA4 but comes with a lower price tag. Even though it is less expensive, it still has a full sound that is surprisingly robust. 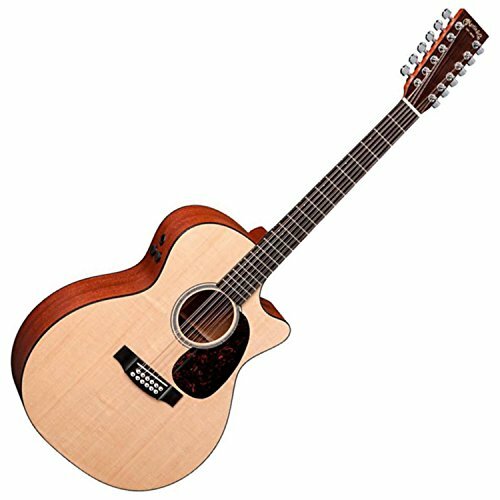 Another great choice for some musicians is the Takamine GJ72CE-12NAT. While there are some 12-string guitars on the market that are uncomfortable to hold and to play, this guitar features a slim neck that is surprisingly comfortable and similar to the neck on the Martin GPC12PA4. It is also much easier on the budget, making it a great choice for beginning musicians or for churches who are looking to invest in instruments for their bands. This guitar’s price may turn off some musicians who are interested in owning a high-quality Martin but if you have been playing guitar for a few years and are ready to really showcase your abilities on stage, then you will struggle to find a better option. Because it offers incredibly raw power, a built-in tuner, and phase adjustment, you have complete control over your sound. You can rely on the Fisherman F1 Analog preamp and pickup system to provide you with tone and volume control during your performance. This guitar is a wonderful option for advanced guitarists who are ready to push themselves and need an instrument that can handle their experimentation and their performance. Thanks to the incredible sound quality and rich tone that the Martin GPC12PA4 offers, it’s sure to help you stand out — but only if you have the skills to handle it.